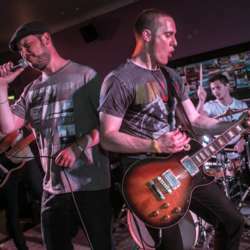 Tooting Rockaoke (South West/Clapham) Live Band! You must be a member of the London Music & More Group to attend this activity. Would you like to join this group? Awesome live band, but you are welcome to join the band (optional) to sing with them. Always a great fun night, with the audience dancing and singing along to classic rock, indie, pop, funk & metal. Meet at 7.30 when it's relaxed and you have a chance to meet the other Internations members. Free admission. 1 minute from the tube station.